We've been to Italy three times in the last three years, and it always feels like a bit of a homecoming. 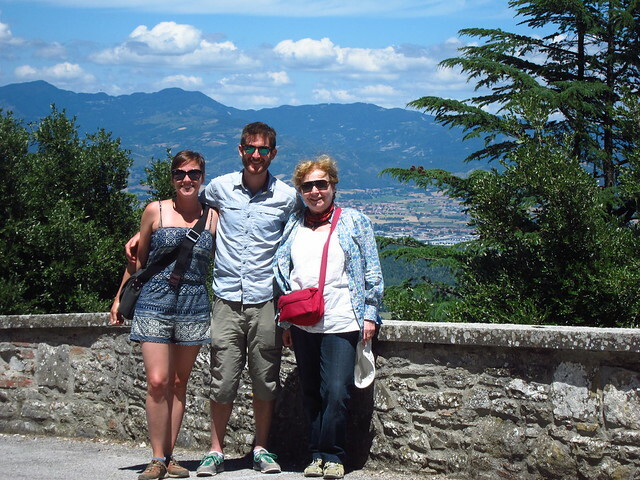 Claudia's aunt Valeria splits her time between Milan and Città di Castello in Umbria, where she and Claudia's dad were born and lived for many years. 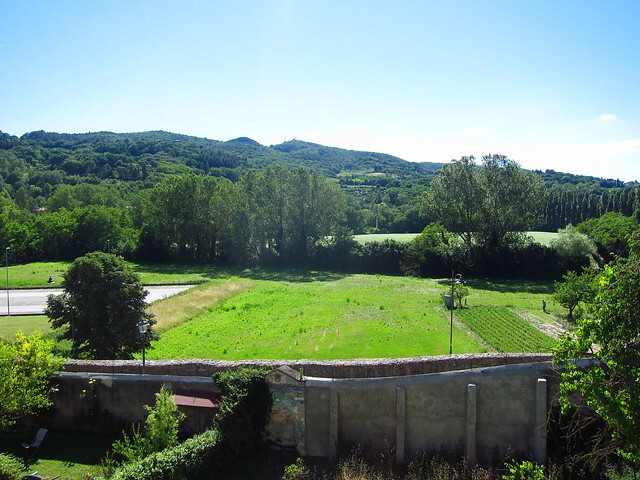 My connection is a bit more strained: when my great-grandfather was a small child, he left a town in Calabria to emigrate to Pennsylvania and later New York, but I've always felt connected to the country, probably because that's the branch of my ancestors where my last name comes from. This year, for some reason, we both felt inclined do some more research into our roots. 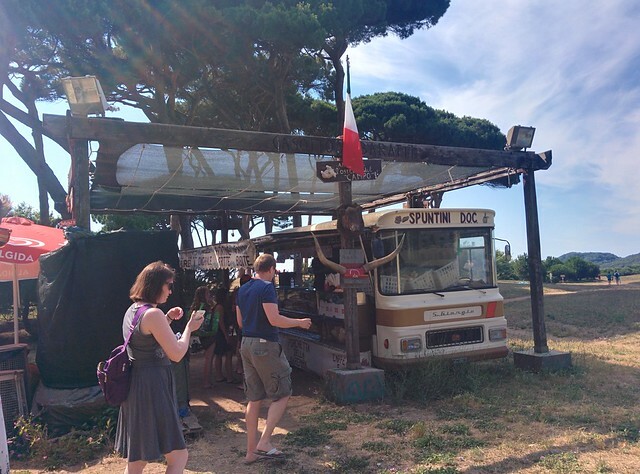 When we first started planning this trip, we thought we would swing through both Calabria and Puglia, to do some digging into both of our family trees. Claudia wrote about our day in her paternal grandfather's town of birth, Trani, in the last post, but unfortunately we couldn't find a way to make all that travel time work (we were wary about feeling rushed after agreeing that we tried to pack a little too much into last year's Eastern Europe trip), so we'll have to save the visit to my ancestral town, Platí, for the next trip. But, we found something even better! When we arrived in Italy and called Pompilia, she welcomed us exuberantly, as if we had been close our entire lives. 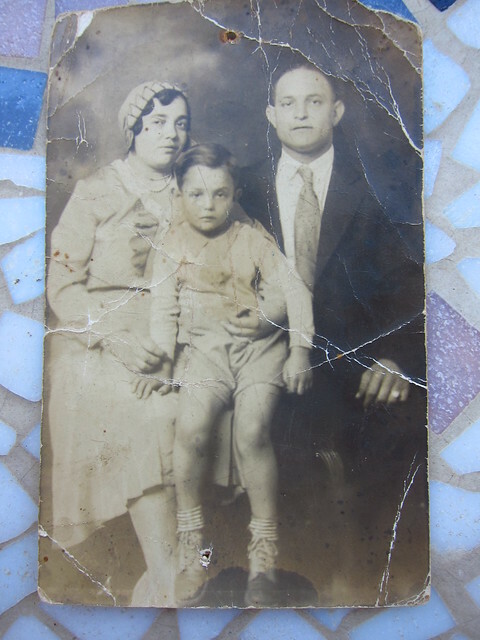 Originally, it had not been completely clear to us exactly how we were related, but we eventually understood that her great-grandmother Mary (Maria) Violi and my great-grandfather Joseph (Giuseppe) were siblings. Mary was the oldest of the four siblings, and was married when the rest of the family came to the US, so she was the only one that stayed behind. Pompilia was excited that we would be nearby and invited us to stay as long as we wanted; unfortunately our itinerary only left us with a day to spend with them. 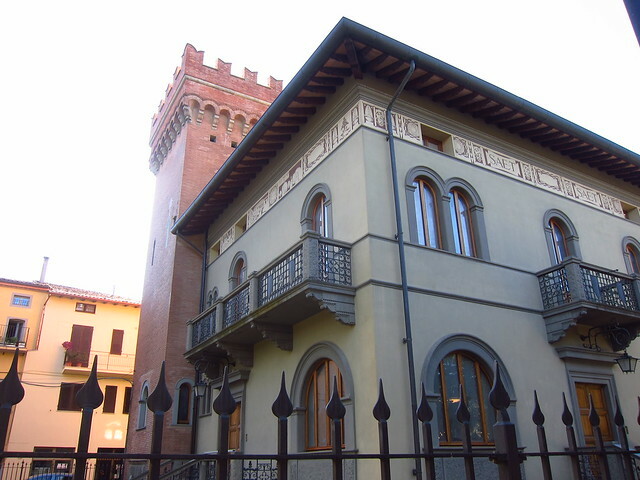 And she had one more surprise in store: a sister--Pina--who lives in Città di Castello! Fast forward about a week and a few more phone calls and we found ourselves and Valeria walking into the store that my fourth cousin Pina and her husband Luca run in the town that Claudia had always considered her Italian home. As it turns out, because it really is a small world, Claudia's aunt shops in that store, and she and my cousin knew each other by sight. That night we three went to Pina and Luca's house for a pizza dinner, where we met two of their lovely children, and Pompilia joined us as well. Once again we were made to feel right at home, and completely comfortable with this newfound family. We had some appetizers, a few glasses of wine, and a ton of delicious pizza, and talked about our lives and our families. 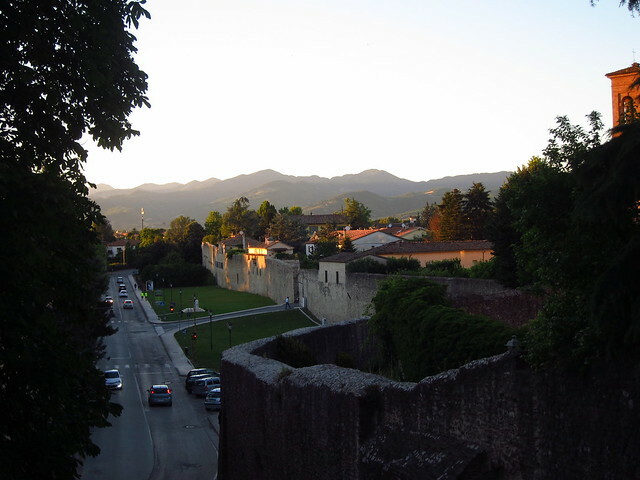 Just like that, we now had two sides of family in Città di Castello! 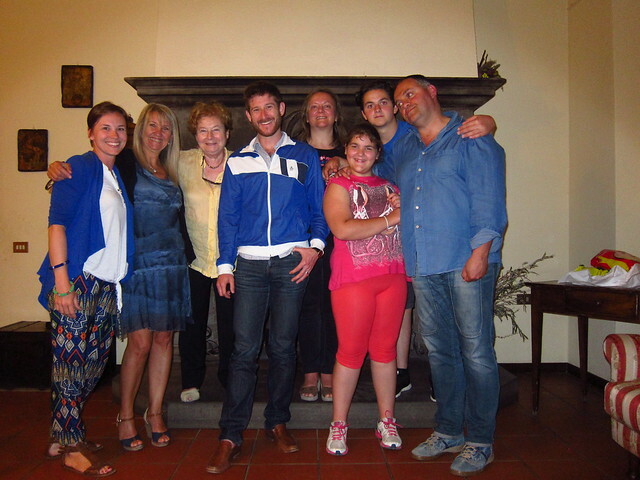 The next day, we were again invited to a lunch with our new family, this time at Pompilia's house about an hour away near Siena. We met her husband, Michele, one of her daughters, Angelica, and her aunt Maria who remembers hearing stories and reading letters from the family members who had made their lives in Pennsylvania and New York. Together we looked at old photos of the people who connected us as family. 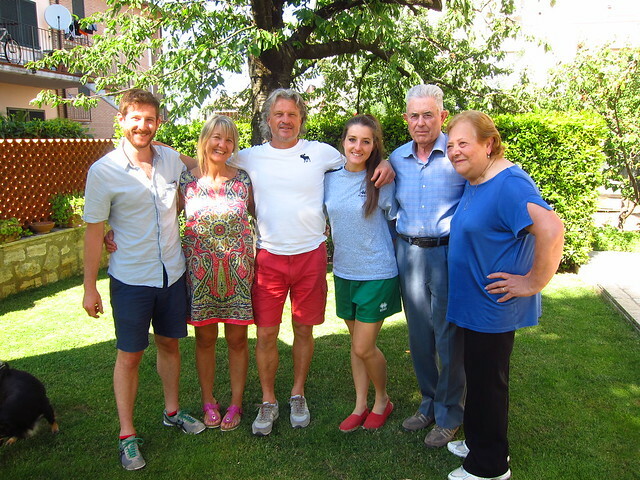 We left their house full and happy to have been so lucky to expand our Italian family with such wonderful, warm and lovely people. They say you can't choose your family but we absolutely could not have chosen any better than Pina and Pompilia and their families! 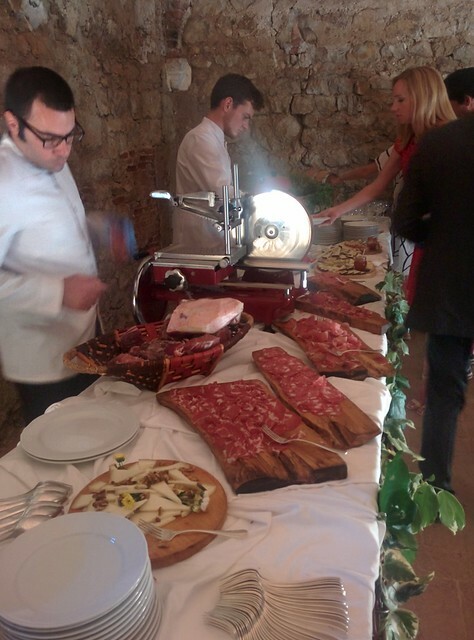 Now it was time for the final event of our trip, the whole reason we had even planned to go to Italy in the first place: the wedding of Claudia's long-time friend Kris and his Tuscan fiancee Laura. The wedding functioned as a reunion of sorts, as Claudia had not seen some of the other wedding guests who were classmates in over a decade. Roadside gourmet sandwich stand, anyone? 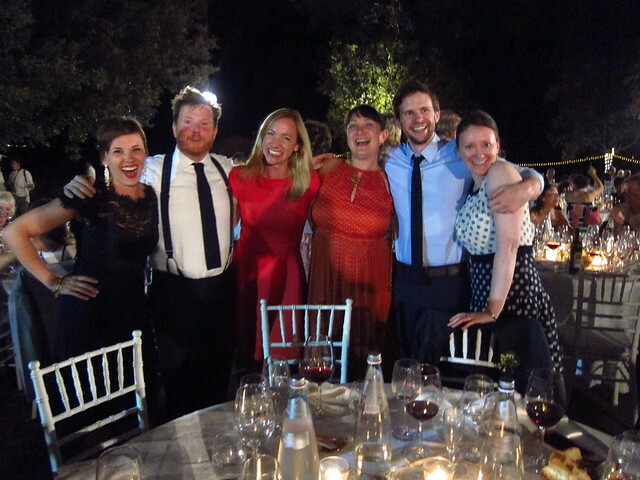 The wedding itself was incredibly beautiful and one of the most fun we've ever been to. We instantly caught up with Claudia's high school friends, and it was as if no time had passed. 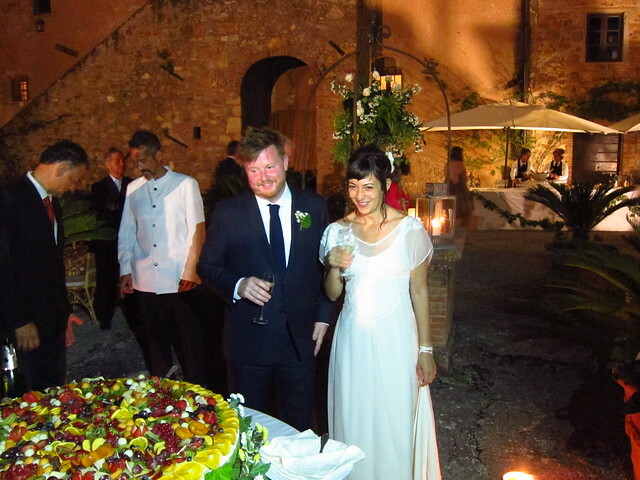 Between the lovely ceremony performed in three languages, the reception, aperitivo (which included multiple trips to the castle's meat cave), dinner, digestif, dessert, and dancing, we had smiles on our faces and laughed endlessly until 5 in the morning. Italy never disappoints, but this was one of our best trips yet, and now we have even more reason to visit in the future. More family discoveries surely await, and we can't wait to happen upon them! What a wonderful post and new pics I haven’t seen! Nick and Claudia have been documenting their worldwide travels here since June 2011. We've written over 200 posts about nearly 30 countries, and have posted more than 5000 photos, so have a look around and please stay in touch!